If you’re a parent of a child athlete, you may think that a mouth guard is all that’s needed to protect your little one’s smile. However, if your child defends against dehydration by consuming sports drinks, they may be harming their smile. Fortunately, Chris L Hudson DDS says most of this damage can be avoided by opting for water instead of these sugar-laden beverages. Providing dental care in Soldotna, AK, Dr. Hudson explains what sports drinks can do to teeth and why water is the better choice for active kids. Why Is Water Better for Dental Care Than Sports Drinks? 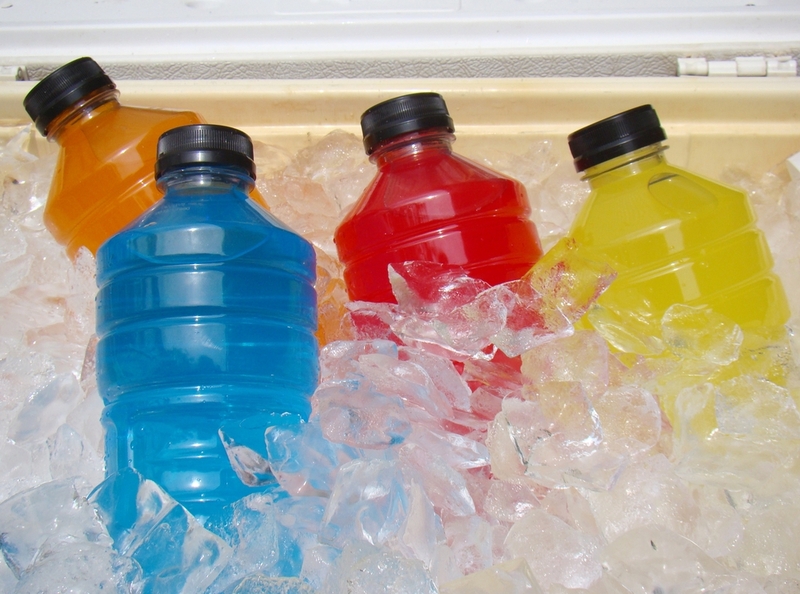 The sugars found in sports drinks can help athletes stay energized by sustaining blood sugar levels during exercise. However, these sugars can also stick to teeth and gums, feeding the oral bacteria that is responsible for tooth decay and other dental care problems. By contrast, water contains no sugar and can help rinse harmful bacteria from the mouth. To make up for the carbohydrates found in sports drinks, kids can snack on fruit or other complex carbs to keep energy levels up. When consumed on a regular basis, the citric and lactic acids found in sports drinks can wear away at enamel—the outer protective covering of teeth. Since enamel cannot repair itself naturally, this erosion can permanently increase your child’s risk of tooth decay, sensitivity, and discoloration. While dentists can sometimes restore and protect damaged enamel, choosing water from the start is the best way to protect your little one’s teeth. As athletes lose sodium through perspiration, they can experience a higher risk of heat illness, muscle cramping, and dehydration. Since this nutrient isn’t found in water, many may argue that sodium-enriched sports drinks are essential. However, it’s important to remember that the extra nutrients found in these beverages are intended to benefit high-performance adult athletes—not children. In most cases, kids should have enough sodium in their bodies from the salt found in the other items they eat. Avoiding sugary beverages will go a long way in defending your child’s smile on and off the field. But for the best protection, it’s critical to schedule regular exams and cleanings with a professional dentist—such as Chris L Hudson DDS. Providing gentle care for patients of all ages, this family dentist of Soldotna, AK, is known for helping kids feel comfortable while protecting their teeth with state-of-the-art services. For more details, visit Dr. Hudson’s clinic online. To schedule an appointment, call this dental care office at (907) 262-5454.